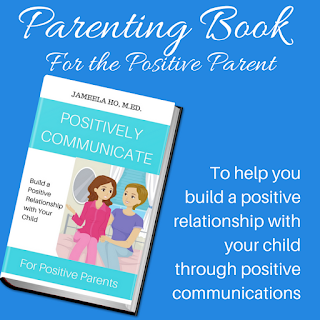 Positive Parenting requires you to provide a positive environment, positive communications and positive discipline. See the chart below. 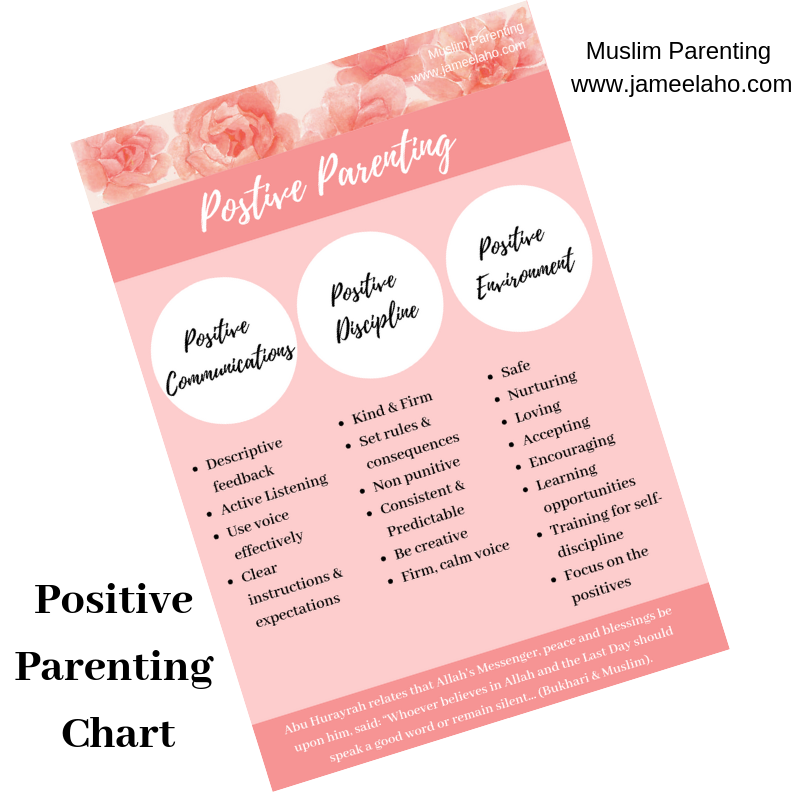 For more on Positive Parenting read 'The Muslim Parent is a Positive Parent'. 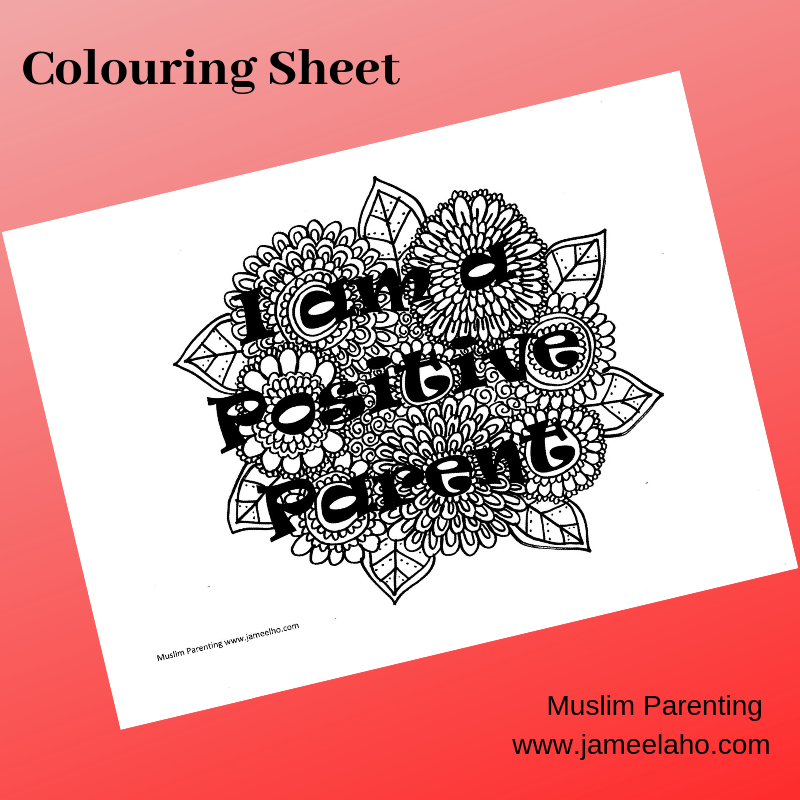 To get this download, join the Muslim Parenting Members program. 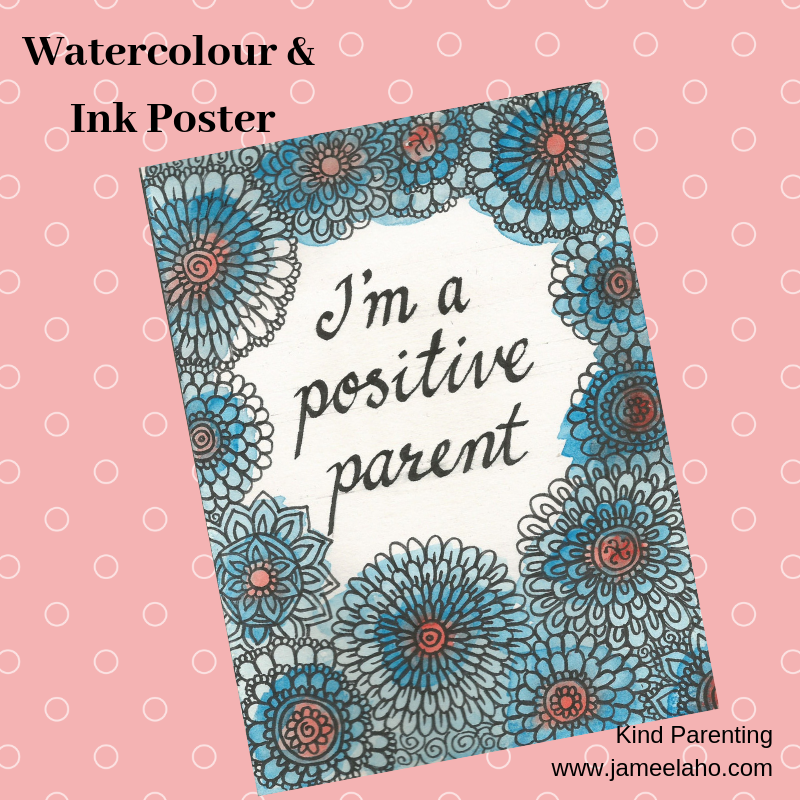 To help you put Positive Parenting into practice, I've made some free downloads for you. The first is a 7 Days Positive Parenting Challenge. You can download the infographic below. The two days in the pale apricot colour is to help you to provide a positive environment. 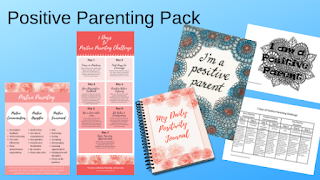 The next two days below them in a medium apricot colour are to help you with positive communications with your child and the last three days in the dark apricot colour are to help you with using positive discipline. Just follow the set task each day. I've also put the information from the infographic into a table format below. You can download the table below if you're a member of Muslim Parenting. 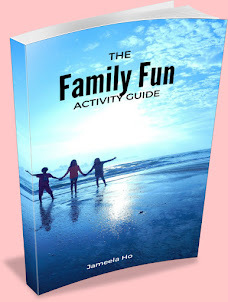 There's also a journal to help you to notice positive things each day. 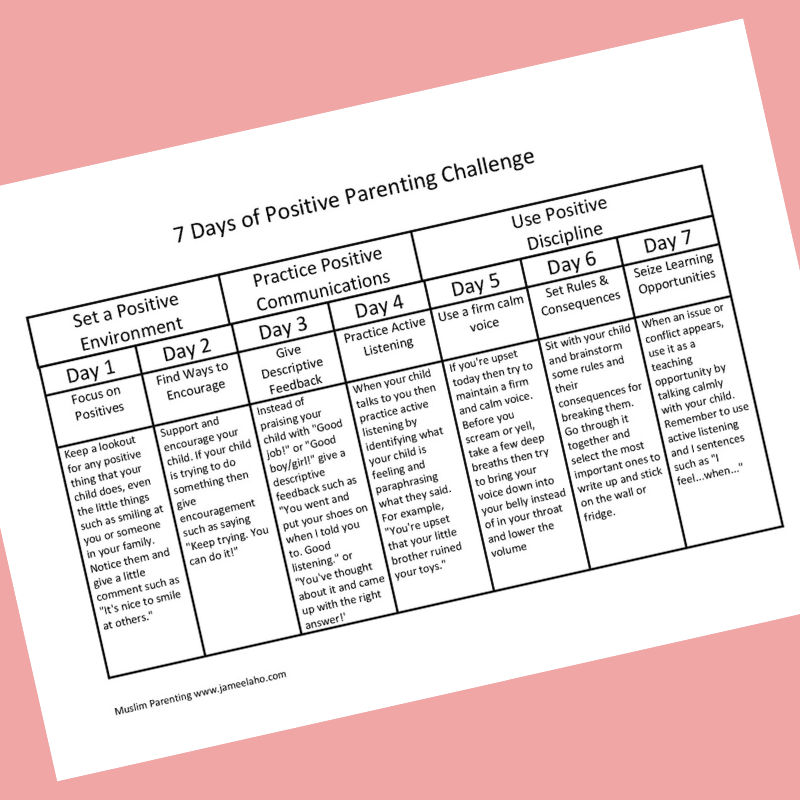 You can use this alone or with the challenge on Day 1. Everyone can download the black and white page below. It's free to all. 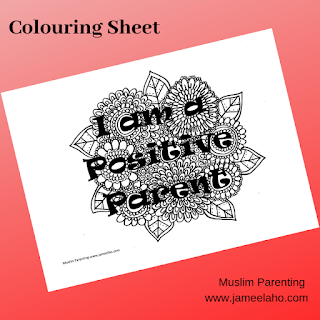 To get the full Journal, join the Muslim Parenting Members Program. 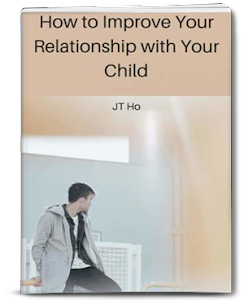 Download this free sample. It's page 3 of the journal. Members & subscribers can access this. 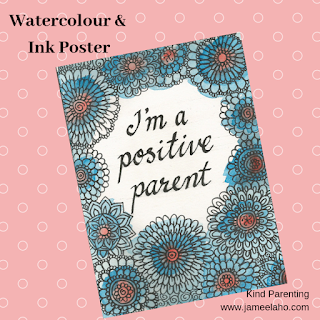 This poster will help to remind you that you're practicing Positive Parenting. These are just a few of the resources for parenting. You can buy this set here. If you'd like more then join Muslim Parenting Members.